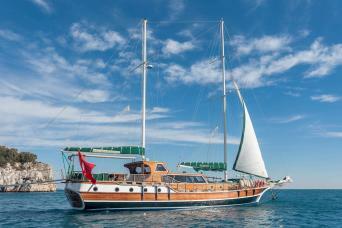 We have Bike & Boat Island Hopping cruises and tours all over Croatia and Bike & Boat Gulet Cruises in Montenegro. Led by a Professional Cycling guide, our 7 Day Sail & Cycle Cruises or Tours will take you on amazing rides along the entire Croatian Coastline & Islands. Check out our cruises below. We are continually updating our site so if the cruise you want isn't listed, please don't hesitate to ask us about it. Contact us at [email protected] or +61 2 9212 1507 (Regular phone or WhatsApp) to help you find the best active Balkan holiday for you. Most of our cruises are 7 night round-trip cruises, the majority starting weekly on Saturdays, a few on Sundays and Mondays. One-way Mini-cruises (under 7nts) are extremely limited and book out fast, as do our One-way 7 night cruises. So get in quick for those! Cruise/Tour combos are also extremely popular and somewhat limited (especially those with a one-way cruise). Usually these are around 11 to 14 days. Now with our new Search by Week feature! See below to select the dates you want to go.